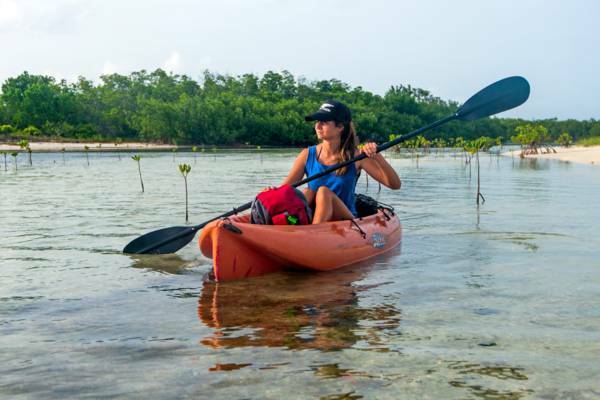 Although not one of our top recommended activities for Salt Cay, kayaking at one of our suggested locations can be fun if your vacation schedule allows for it. South Creek offers narrow mangrove channels and sand bars to discover. 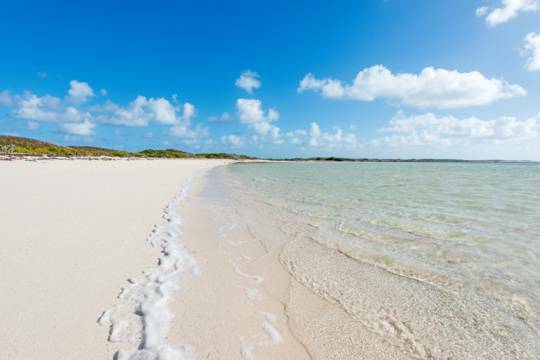 Renowned for its diving and humpback whale watching, the tiny island of Salt Cay is a great place to explore. Although the sheltered paddling locations aren’t extensive, kayaking is interesting nevertheless. There isn't any suitable fishing or snorkelling from a kayak. When kayaking or stand up paddle boarding, wearing polarized sunglasses will allow you to get a much better view of the coral and ocean life in the water below as they significantly reduce water surface reflections. 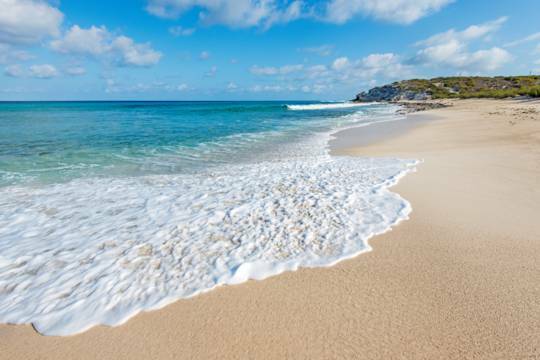 See What to Bring to the Turks and Caicos. The only wetlands on the island is the rather small (from a paddler’s perspective) South Creek. Much of the interior creek here is quite shallow, so you’ll definitely want to plan your trip for high tide. 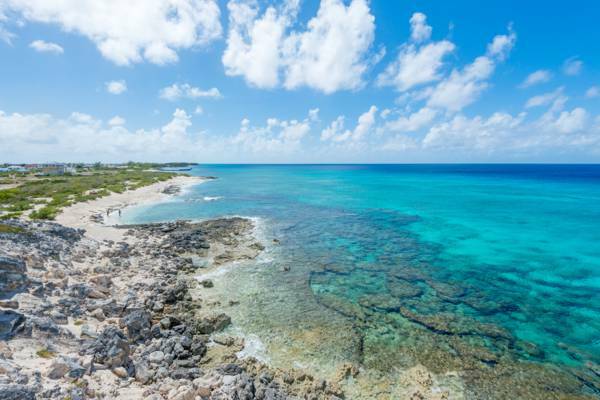 Compared to the wetlands in the Caicos Islands, the mangroves density in South Creek isn’t great, but the sand bars, winding narrow channels and limestone ironshore protective bluffs are really beautiful and fun to explore. When the tide is high, it’s possible to kayak nearly a mile from one end of the creek to the other. There’s plenty of bird life to be seen here. The other popular kayaking spot on Salt Cay is the sheltered water and beach off of Balfour Town. The best route is to simply follow the cliffs and coastline north past Little Bluff Lookout and up to North West Point. The ocean in this area is typically protected from the constant east southeast trade winds and the terrain is scenic and interesting. 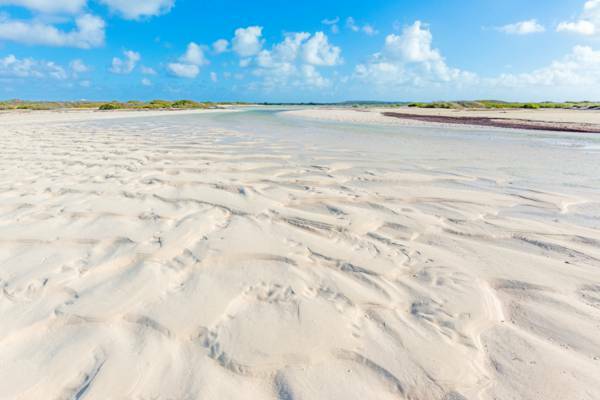 It is of course possible to paddle off the coast at any other location on Salt Cay, but surf and wind conditions often aren’t optimal at many other spots. It's recommended that you avoid entirely the eastern coast of the island. The central salinas and salt ponds on Salt Cay are extensive, yet they’re not suitable for kayaking due to their shallow depth and the large number of walls that divide them. The South Creek Wetlands at low tide. As the wetlands of Salt Cay are one of the few refuges in the area for wading birds, it often possible to spot great blue herons, tri-coloured herons, yellow-crowned night herons, green herons, great egrets, and reddish egrets. Although they’re not contained to the wetlands, ospreys, brown pelicans, and kingfishers frequent the area as well. Salt Cay isn’t the best place in the Turks and Caicos to spot flamingos, yet they may be seen at times in the salinas, which they tend to prefer over the tidal sounds. In the deeper central creek, small lemon and nurse sharks can sometimes be spotted, and barracudas and bonefish are common. The south western side of South Creek hides a small tidal underwater cave system, which shelters the larger fish and barracudas that otherwise wouldn’t survive abnormally low tides in the largely-landlocked south portion of the sound. South Creek is the best paddling location on Salt Cay. Much of the area is quite shallow, so plan to explore at high tide. The coast to the north of Balfour Town Beach is sheltered and fun to explore. You may also find a great snorkelling spot. The coast between Balfour Town and Little Bluff Lookout is typically sheltered from the wind and is a spectacular place to explore. 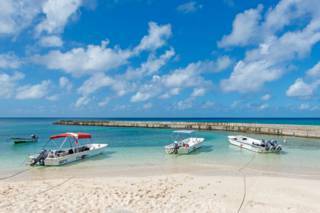 Salt Cay Divers is the foremost water sports business on the island. Although not one of their main activities, they offer both guided tours and kayak rentals. The typical kayaks on island are the common moulded polyethylene sit on top ocean kayaks that are easy to use and favoured by local accommodations. Several vacation villas include complimentary use of kayaks and other water sports gear. If the use of such equipment is important, check with the accommodation manager before booking. Be aware of wind and current speed and direction. If possible, begin your journey into the wind so you’ll have an easier return. Ensure that you have and use personal flotation devices (life vests). Accidents happen. Take plenty of drinking water. The sun is typically intense in the Turks and Caicos. Provider of scuba diving and snorkelling trips, whale watching excursions (seasonal), island trips, and eco-adventures (bird watching, hiking, and kayaking).